A Field Township quarantine sign, 1922. According to my mum, I had a really bad bout of scarlet fever when I was around four years old. From what I am told, I developed strep throat, which led to a rash, which led to a four-year-old kid who was too sick walk into the doctor’s office. After that dramatic visit to the family doctor, I was dosed up on antibiotics and then promptly recovered. Years later, I read the excellent Booky trilogy set in Depression-era Toronto by Bernice Thurman Hunter, and noticed a passing mention of a local family who had been quarantined due to scarlet fever. Drama Queen that I was at 12, I began to fantasize about the seemingly romantic fate of a death sentence due to an illness I had managed to overcome. From that time on, I’ve often taken moments to contemplate the fact that, had I been born earlier, there is a good chance that I might not have lived past the age of four. 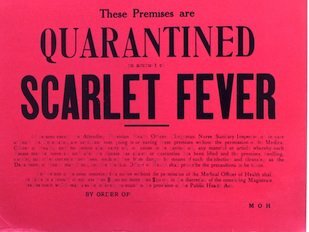 Apparently, scarlet fever had its heyday from the late 1770s to the early 1800s; however, other sources claim that it was in fact at its most potent from the 1830s to the 1880s. But was this disease a killer? Before antibiotics were developed and produced as a mainstream treatment for bacterial infections around 1945, scarlet fever could lead to a number of deadly medical issues. These included infected sores, meningitis, pneumonia, rheumatic fever, and liver and kidney damage. Should you not die from the fever, these after-effects may have stepped in to finish the job. Based on this, I think it’s highly likely that I might have died if I had lived in the 1930s or earlier. 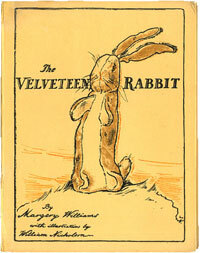 Original cover of The Velveteen Rabbit, published in 1922. But then again, I may have turned out to be as strong as the boy in The Velveteen Rabbit who conquered the fever (although this comparison holds little appeal considering I would have hated to see my favourite toy burned to prevent infection!). Scarlet fever is quite prominent in literary works of the past, demonstrating its pertinence. Other characters who suffered include the beloved Beth March from Little Women. 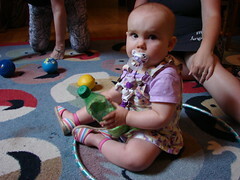 My partner, Noel, also faced a scarlet fever-ridden childhood. His experience, however, was significantly worse than mine. 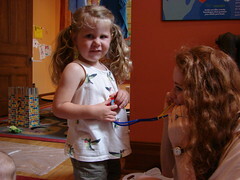 Beyond a straightforward diagnosis of strep throat and scarlet fever, Noel was plagued by asthma as well. So might Noel have died? 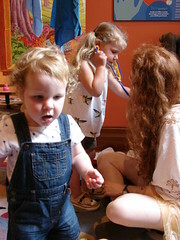 Considering the fact that scarlet fever develops primarily from infections of respiratory organs such as the throat glands, my guess is that any child who was already faced with a severe breathing difficulty with no known cure besides concoctions of morphine, alcohol, and cocaine delivered through smoking would have practically been considered Dead On Arrival pre-1930s. While all this talk of the probability of death and such may seem morbid, it does end on a positive note: it is my belief that a sense of your own mortality in relation to the time and place in which you were born is important for the development of empathy and appreciation. Both Noel and I will always face problems and challenges in our respective lives, but we can always be thankful that we were born in a time and place which allowed us the requisite medical treatment to avoid death. I had scarlet fever in the 1970’s. I was very ill. Put in isolation for 2 weeks. I had emergency surgery to drain fluid that had built up in my left leg. I was told that they were very close to amputating my leg. I was 9 years old. I am trying to find out more about what I had. I am apparently in a medical journal somewhere. I have scarlet fever now & it’s hell. I knew i had read it in old literature somewhere, thank you for reminding me. The Velveteen Rabbit was a heartbreaker. I believe I read it in Dickens, Austen or somewhere else as well…. My mom don’t have access to antibiotics. They drilled a hole behind each ear with a hand crank, and stuffed strips of bed linen in the holes down within her small body, at the she of 4. This was to absorb the infection. Later that evening, or the next morning, they pulled out the long strips and filled her with fresh strips. This continued for days. Moms ear canals have collapsed, due to this procedure, she continues tobattle the fluid and drainage and hearing loss, and the only way she has been able to hear, at all, is through these drilled holes behind each ear. Currently 84, mom is doing well. Im thankful for my moms life and for the medical staff of 1936 in the good ole USA. I never became blind but I wasnt treated by a dr or antibotics and finally got over it but I had every symptom and I remember being very ill and I am sure I had a bad case of it but I have heart spells the dr. cannot explain and i have bones and joints that hurt when I get older but do not know if these are the symptoms I would have. My Aunt Brooksie had SF, so my mom and grandma said. That was in 1922, when she was 9 or 10. They said she was I. bed for over a yr. and had a shorter leg after that. She lived to be 88, and was very strong. Us girls got the Impression she was sick like they said. How can one be I.bed with Scarlet Fever that long.? If treated by a Dr. Then u would be well, even in those days, no. Even if they did home remedies. I don’t know. Just took what they said. Never talked about it. 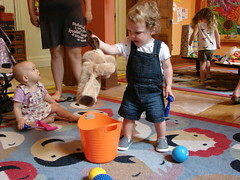 If you come home and find a Jacques le Bear-shaped pile of ashes, it was to prevent infection. For those who are interested, I had a friend remind me last night that Mary Ingalls from the Little House on the Prairie books also battled scarlet fever, and became permanently blind because of it.